Twelve chic colors are available on-line at http://www.hartfordyork.com/product/494/gift-ideas. Some of these colors include: Black, Maroon, White (off-white), Camel, Cobalt and Forest Green." What we thought: What I learned from this review is that I absolutely cannot pull off a beret! I don't know if I have a weird head shape or if it's my hair or if it's just all in my head, but it's a good thing I don't live in Paris:) However, for those of you lucky enough to be able to wear a beret and look chic, this would be a wonderful addition to your fall/winter wardrobe. It is so super soft and comes in a variety of colors to match pretty much any color palette. 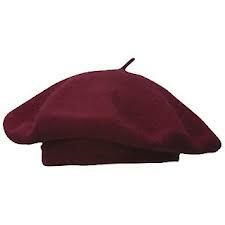 ABCD Diaries gives this beret an A+!